I don’t know why, but I’ve always been excited to go to the airport. It’s not something that’s diminished as I age, either. Pretty weird for a guy whose discomfort flying increases the older he gets. Maybe it’s because PDX is consistently ranked the number one airport in the country? Nah…I remember being excited to go to the lil airport in Long Beach when I lived down there. Hi, my name’s Chris and I like airports. In recent years – upon moving back to Portland – I even started pursuing jobs at the airport. 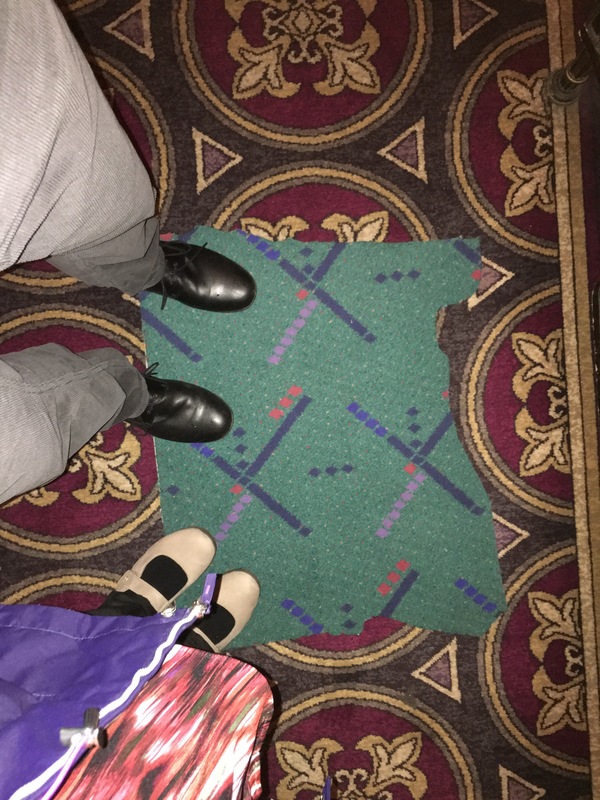 Pretty soon I’m gonna get to see my feet on this (well, the modern incarnation of it, anyway) iconic carpet every day when I get to work. As if PDX wasn’t awesome enough…now it has me!